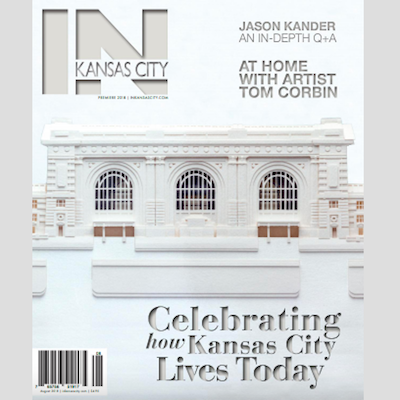 The premiere issue of IN Kansas City magazine celebrates how Kansas City lives today. The city/lifestyle mix includes beautiful home and garden features and departments, an in-depth interview with a prominent Kansas Citian (this month it’s mayoral candidate Jason Kander), fashion, beauty and wellness, expanded arts and culture coverage, and dining out and dining in—with recipes for the season and up-to-date info of our city’s restaurant and bar scene. There’s something for almost everybody.